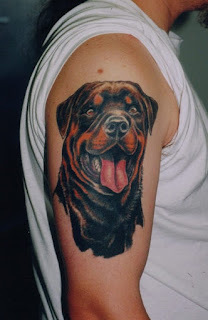 Rottweiler is known as a notorious dog breed with a bad reputation but in reality they are a kind and loving dog breed. Rottweiler is a really intellegent, confident, fearless and devoted dog breed. 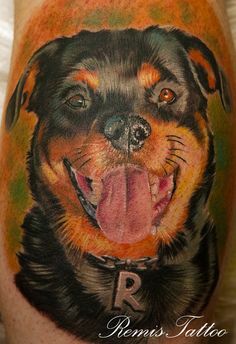 These may be some of the reasons why the Rottweiler dog breed is one of the most popular and most loved dog breeds in the world. 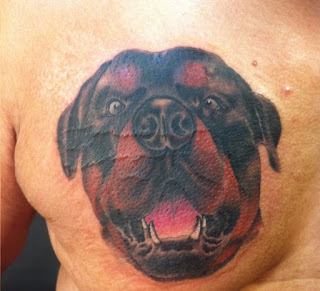 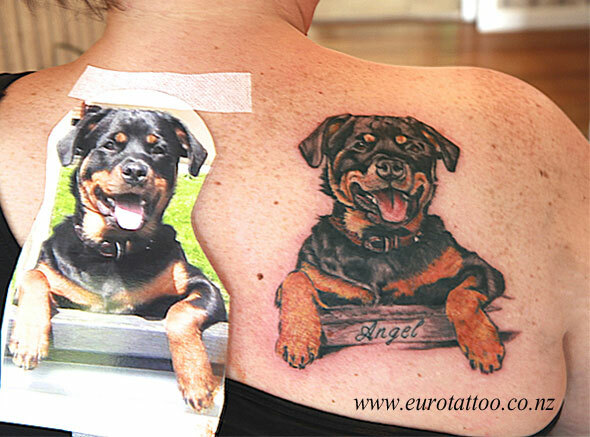 A Rottweiler dog makes a good figure for a beautiful tattoo too, in fact with a special design it makes a perfect tattoo. 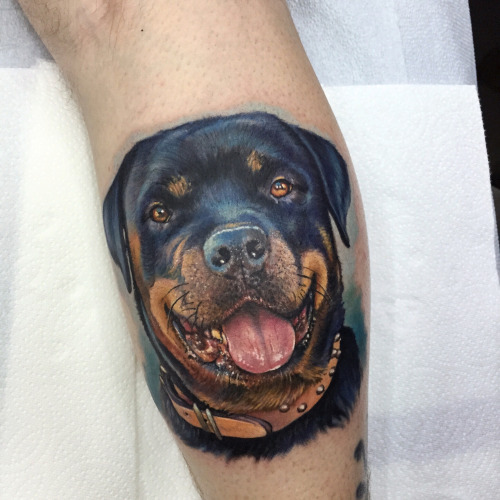 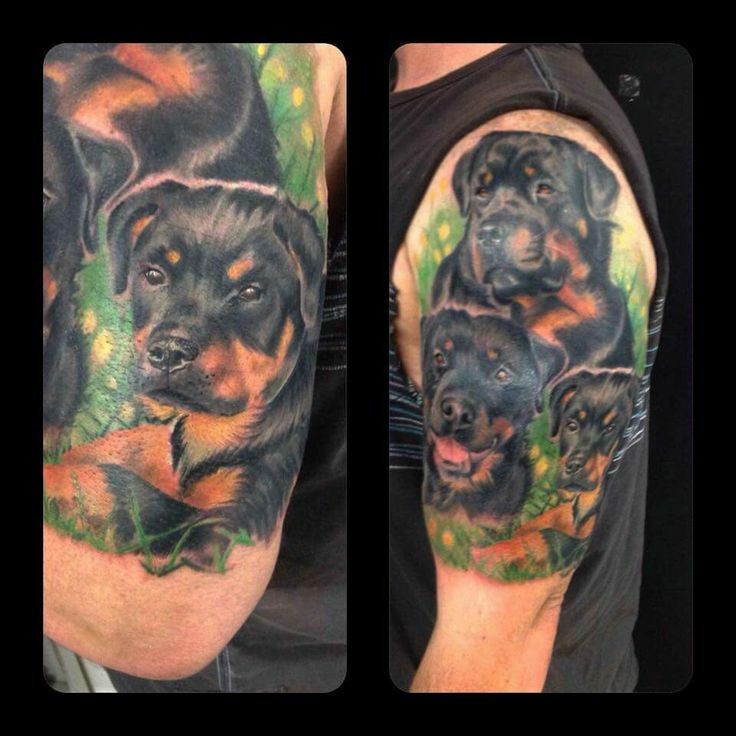 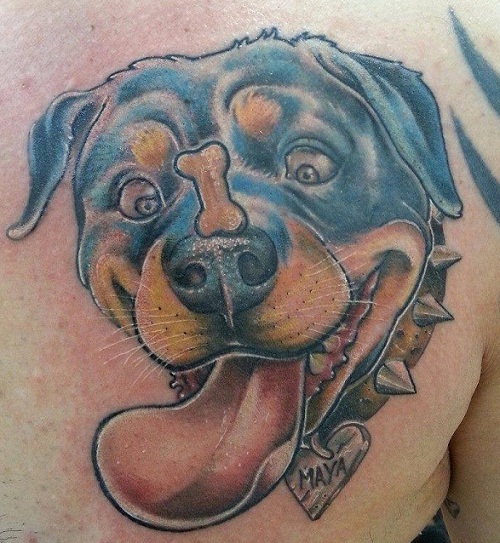 There are a lot of people who tattooed their rottweiler's face after their favourite pets passed away. 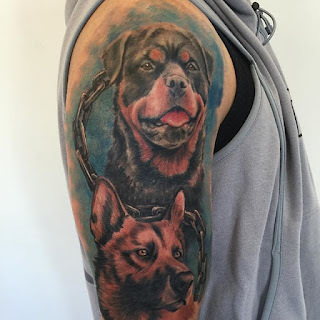 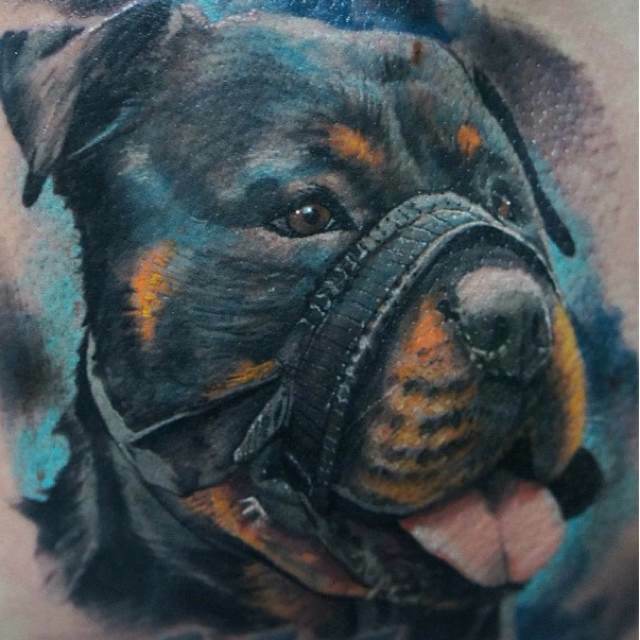 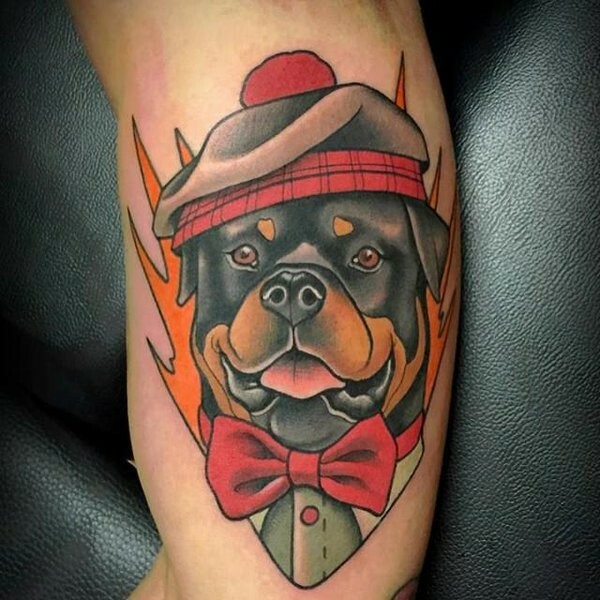 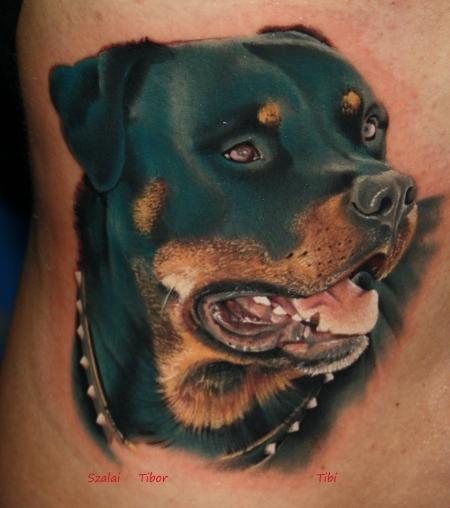 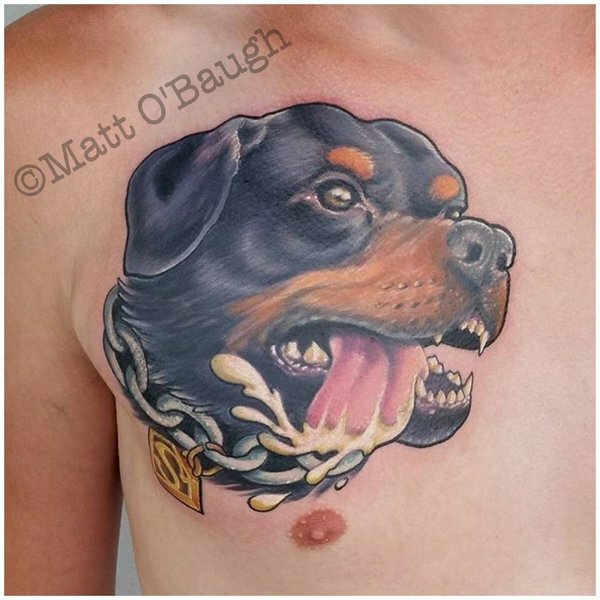 Here is a list with some of the coolest Rottweiler tattoos.